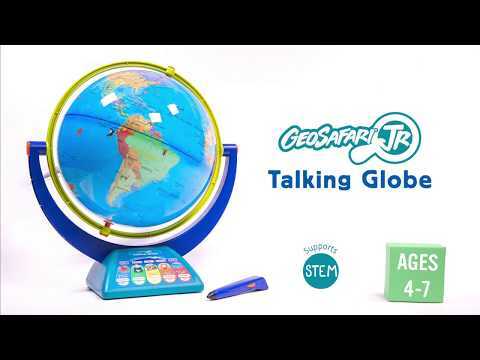 Interactive talking 12" globe that brings a world of learning to your fingertips. This high-tech globe with dual-swivel action features the voice of wildlife conservationist, Bindi Irwin, with over ten hours of audio. Use the interactive smart pen and just touch anywhere on the globe to learn about continents, countries, animals, nature and more. Learn over 1000 cool facts, like why a polar bear isn't really white and test your knowledge about different countries. Measure the distance between major cities across the globe and play fun games. Explore the wonders of our world, listen and learn - fascinating.